Home→Spirograph reviews→Super Spirograph is back! ← What is the radial distance between the holes in Spirograph wheels? 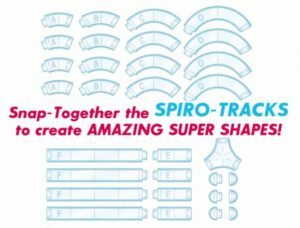 Kahootz Toys, which has resurrected the original Spirograph, is now coming out with a Super Spirograph. As I’ve mentioned on this site, I still have my Super Spirograph from the 1970s. The extra parts in this picture look the same as in my old set. I’m starting to post some designs I’m making with my old Super Spirograph. If you get one, leave your review in the comments below. Remember to get a variety of pens. I find felt tip pens, work the best and come in the most colors, but there are other ones that work well too (see Pens in the menu). And “Spiro Putty” is really poster putty which you can get just about anywhere, and works great to hold the gears to your paper without fussy pins. 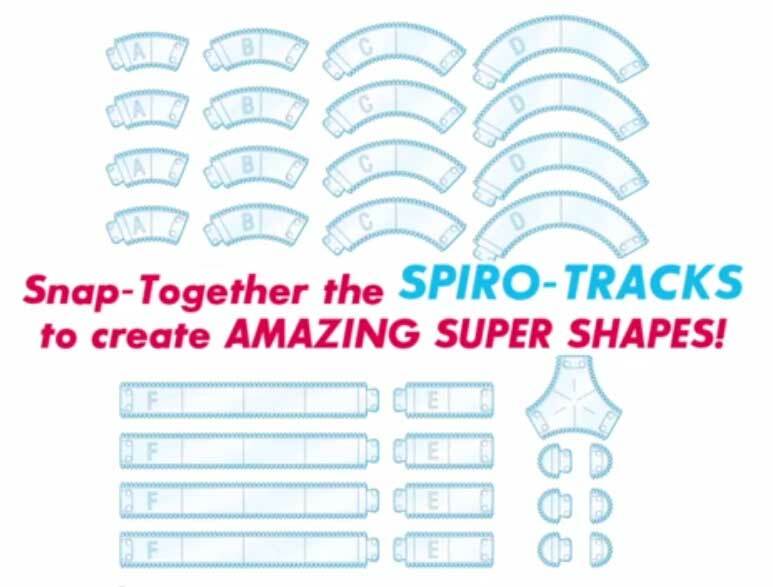 Check out the video about the new Super Spirograph. Thanks for sharing that! It gives a release date of August 31, 2014. I’m sure the price will go down (currently showing $109.99 NZD). I still have a Super Spirograph from 1972, but the “male” end pieces have been damaged. Also, in the 1970s you could buy an add-on kit of the Super parts alone. Some of mine are damaged too, and I’m missing a piece. It would have been nice to get replacements – or to double your parts. I saw a note that the new kits were missing a few wheels, are they still missing from this one? Apparently I figured this out a couple of years ago by squinting at the photos and counting the wheels. Hopefully someone who has this set can confirm it.